Limited, tour-only, hand-numbered 12" EP. 300 copies. 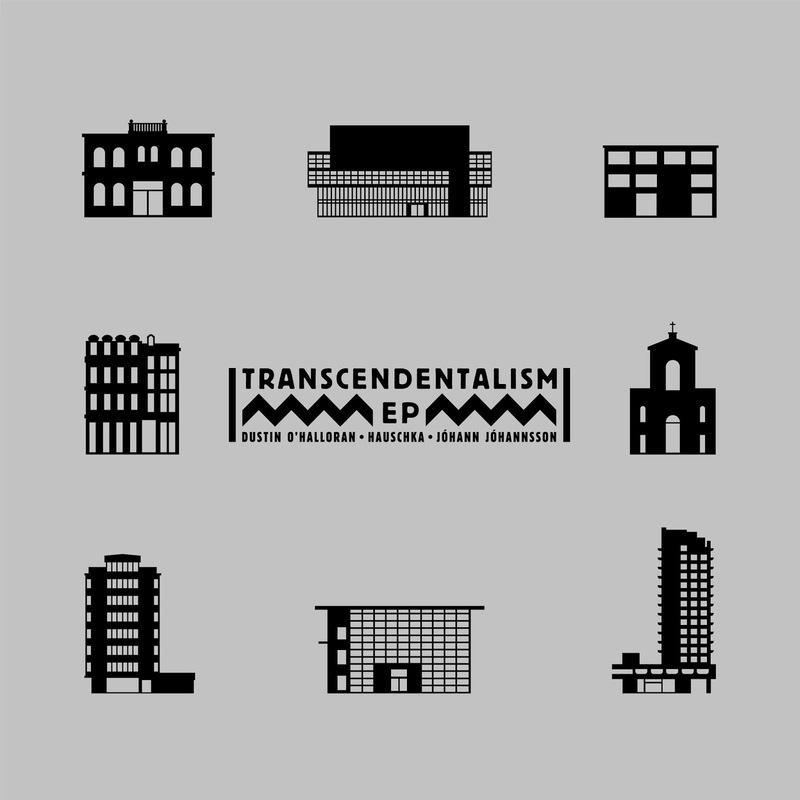 The Transcendentalism EP was a hand-signed and numbered white-label 12″ sold only on ‘Transcendentalists’ tour dates. 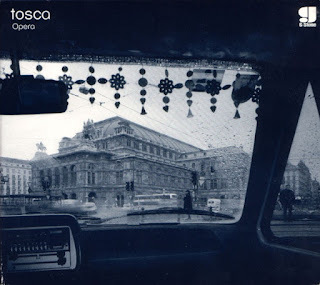 It accompanied a triple-headline European tour as a showcase and celebration of FatCat’s ‘post-classical’ imprint. 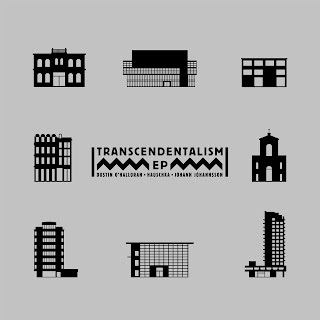 Featuring brand new, exclusive works from all three artists, backed with specially-selected live recordings of special versions and new arrangements of existing pieces, Transcendentalism represents a musical snapshot of Dustin O’Halloran, Hauschka and Jóhann Jóhannsson as the tour approaches: Hauschka performs with touring partner Samuli Kosminen (aka múm’s masterful, Finnish-Icelandic percussionist), O’Halloran and Jóhannsson both realign previously-recorded material to string quartet arrangements in keeping with their respective live sets for the tour. O’Halloran donates ‘An Ending, A Beginning’ and a stunning new version of his 2006 piece ‘Opus 28’ (originally found on his second Piano Solos LP) featuring New York’s ACME String Quartet. Hauschka’s contributions – a skipping and melodious new composition entitled ‘Spark’ and an improvised live piece taken from 2011’s Brighton Festival 130701 showcase – demonstrate the breadth and colour with which he collaborates with guest percussionists. Jóhann Jóhannsson is represented by a recent re-write of film-score piece ‘Glíma’ (taken from 2007’s Icelandic feature Bræðrabylta) and a jaw-dropping, KCRW-recorded live interpretation of a second soundtrack composition that sees LA’s Formalist String Quartet perform parts originally written for brass, with breathtaking results. On record, each artist here occupies their own unique outcrop of the broad-reaching ‘post-classical’ field. Where O’Halloran’s hauntingly evocative string arrangements and solo piano pieces gently, quietly break hearts, Hauschka experiments playfully and exploratively with timbre and rhythm, allowing extra-textual clicks and tics into his sonic journeys through organic / electronic modernist piano. Jóhann Jóhannsson, contrastingly, offers a study of stillness and richness of texture – soft electronics and restrained, harmonic use of large-scale ensembles subtly permeate and underpin his own sonic collages. Though having debuted the combination of all three artists at a packed, bar-setting performance in Reykjavik’s oldest wooden church Frikirkjan for 2011’s Iceland Airwaves festival, the Transcendentalists tour and EP will mark the first time Dustin O’Halloran, Jóhann Jóhannsson and Hauschka have hit the road and released together. A set of artists connected not only by complementary approaches to composition and performance (or even by sharing a label), but also by the philosophical ideals found in Transcendentalism: a sense of self-reliance in their respective dual roles as composer and performer, and a rejection of the rigidity of convention and institution, leaving purity, individualism, intuition, invention and community.